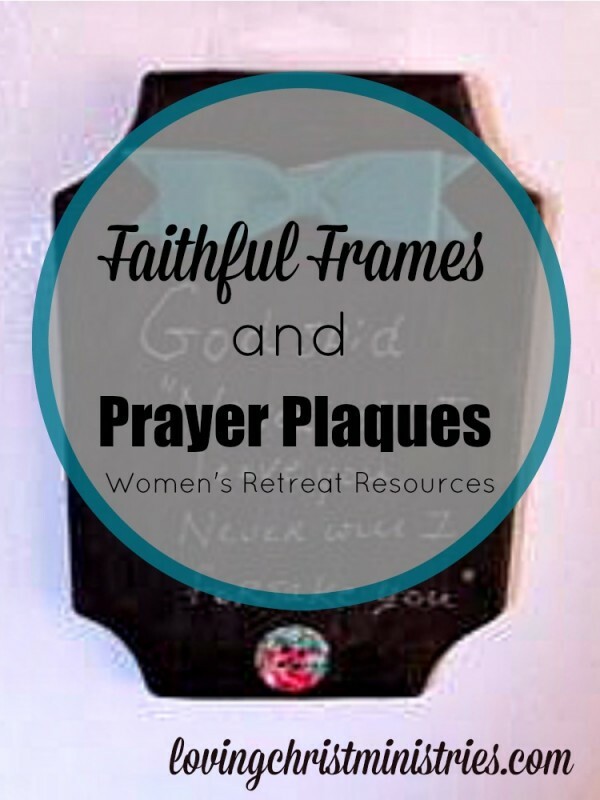 The women at our last retreat had such a great time making these faithful frames and prayer plaques. 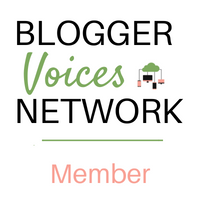 They’re super simple to create which makes them one of our most popular breakout sessions. 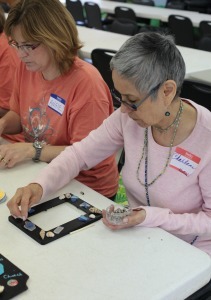 The ladies enjoyed putting together their frames and being able to visit as they worked. 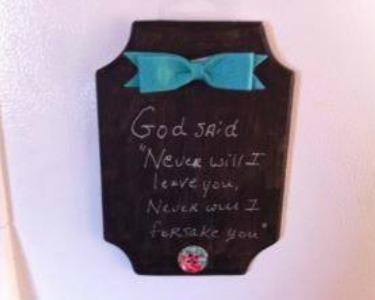 Transform wooden frames and plaques into inspirational chalkboards. Write prayer concerns , bible verses, or anything to encourage your throughout the day. Add some cute decorations and a magnet, and you can hang them on any magnetic surface. Let your creativity come out and join us in this breakout session. Use the chalkboard paint to paint an area on the frame. You can use this area to write messages or favorite bible verses. Add stick on bows, letters, or flowers to decorate. Glue a circle magnet on the back to hang it on the fridge. That’s all there is to it! 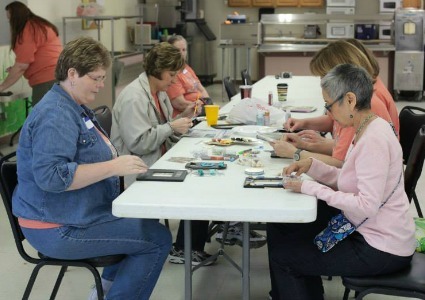 The ladies get a cute, practical takeaway they can use for daily encouragement. I love to write a scripture of the week at the top, and my daughter and I work to memorize it. I have to admit, she’s better than I am. However, as I tell her, the most important thing is to keep scripture first and foremost in our lives. I don’t ‘think’ that’s just an excuse for not being able to memorize as many as I would like. Always a work in progress, right? 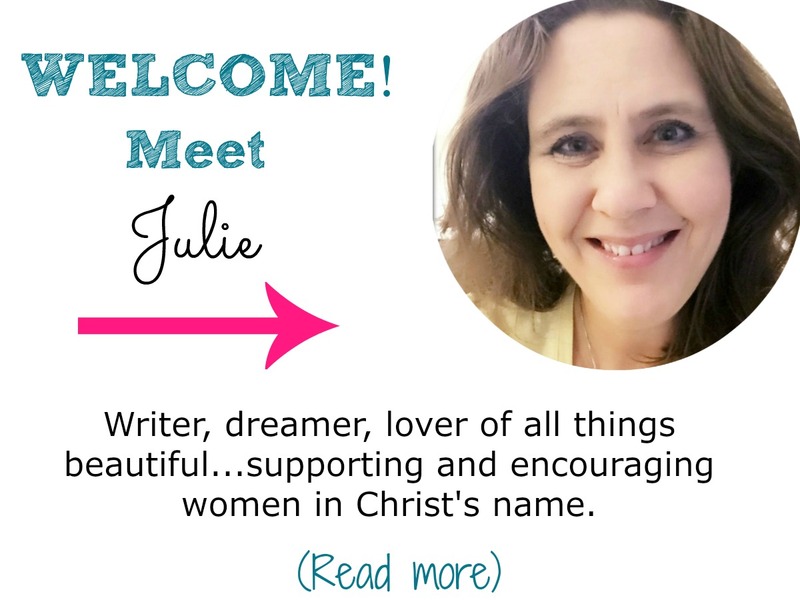 Find more breakout session ideas by checking out the Christian Women’s Retreat Breakout Session idea page. We also have fun, quick, and easy icebreakers. Want to remember this? 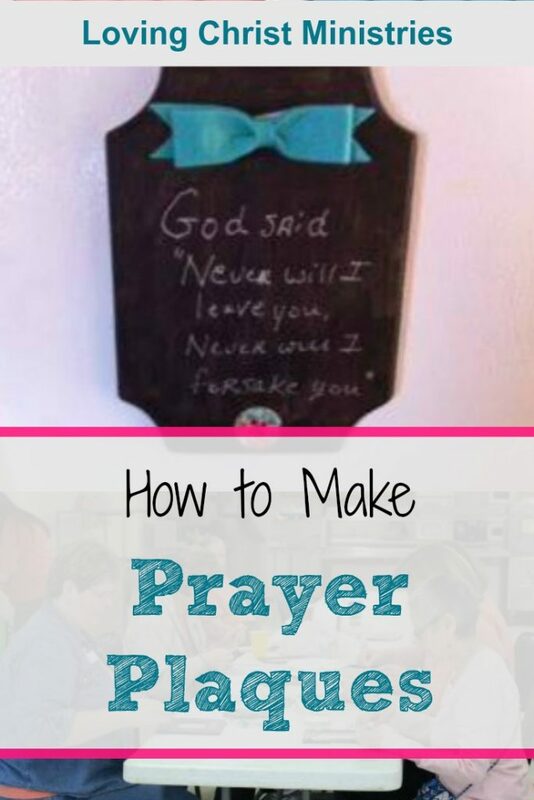 Save How to Make Prayer Plaques to Your Favorite Pinterest Board. Lovely idea, fun to make with great company and a constant reminder of the day plus scripture to read! Might have to copy you on this too! Hope you enjoy it! They are lots of fun to make, look so cute, and are very simple to do. What a wonderful Idea!! I’ll have to share this with some lady friends so that we can do this too !! Thanks so much for sharing. Ooooh, have fun! I’d love to see a picture of your finished frames! What a great idea to do this with your daughter. I think I’ll ‘steal’ that idea for a spring break activity for us. Enjoy!